Beyond the Basics: Advanced Features for Medisoft Clinical – Accudata Service, Inc. Many of our clients have adopted an Electronic Medical Records over the years for various reasons. When I started over 10 years ago, most of our users just wanted to be a "paperless" office. Then came Meaningful Use Incentives, penalties, and now the Quality payment Program Merit-based Incentive Payment System, or MIPS. This article takes some time to focus on the features that are not required but can dramatically improve a practice's workflow. There are so many that I am just going to list each one with a brief explanation and I strongly encourage anyone who wants to get started to reach out to your Account Advisor. This allows you to electronically send a laboratory order to the lab from the Order Entry module in Medisoft Clinical. The results for this order will be sent back and imported directly into Laboratory Data table waiting for the ordering provider's signature. If you are still scanning lab results or manually keying them into your system, please reach out to our Medisoft Clinical Support Team as soon as possible. You can also start by requesting this from your lab representative and they can contact Accudata Service on your behalf. LabCorp and Quest have bi-directional interfaces available now. We can create custom interfaces for many laboratories upon request. One of the favorite features of any EHR is ePrescribing, however for many years, we were unable to ePrescribe controlled substances. This is no longer a problem since eMDs has developed the processes and security necessary to implement Electronic Prescribing of Controlled Substances. As part of the enrollment process, we will assist you with identity verification. In the end your ePrescribing account will be upgraded and you can finally send all your prescriptions electronically. Your patients can provide medical history by answering adjustable questionnaires from the branching logic of the IMH patient interview software. The information gathered is then imported into Medisoft Clinical and waiting as soon as you start your note. Instant Medical History can save physicians up to 6 minutes per visit. Not only can this be setup on a computer or tablet in your waiting room or exam room, it can even be added as a link to your website so your patients are able to complete this in the comfort of their own home prior to arriving for the visit. Windows Fax Server is a role on the Windows Server that allows you to send and receive messages directly on your server. This is a simple solution that can be added to most Medisoft Clinical application servers by connecting a fax line to a modem on the server and configuring the role. Sending a fax from your computer is done the same way you print a document. The only difference is that instead of choosing your printer, you choose the fax machine listed next to your printer. It will then ask you to type in the fax number and you can see the status of anything sent by looking in your Windows Fax and Scan program. Imagine the next time you are asked to fax over a copy of a patient record you can instead simply print to a fax machine. You just gained back the time it takes to manually print, collect, and then feed all those pages into a fax machine. The cost savings on paper alone will make this quickly pay for itself. Attaching received faxes to a patient's chart is also made more efficient since the fax is already on your computer as a PDF file and no longer needs to be scanned. This can now simply be attached to the patient's chart using Zoom. 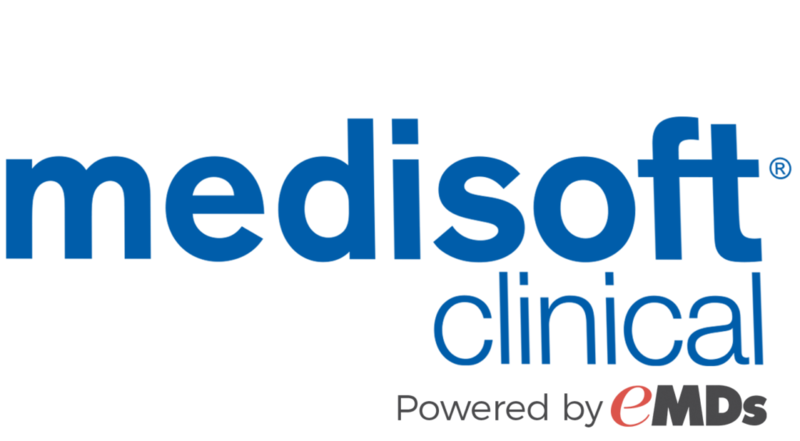 Medisoft Clinical now includes a patient portal that can be added to your website. Your patients can be enrolled to have 24-hour access to their chart via your website. Your practice can choose what sections of the medical record are visible online. In addition to seeing their chart, you can enable messaging, which would allow you to send and receive messages from patients via the web portal. This will make following up with patients much easier. Access Medisoft Clinical from anywhere by implementing a terminal server. You can choose to put this terminal server in your office, or you can host it in the cloud. We can add the program to any computer with an internet connection. We simply install the remote applications on your laptop and your Medisoft software and all its features are available anywhere you go.